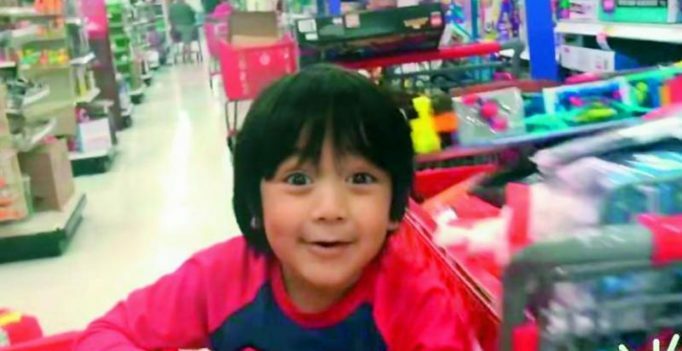 Ryan was only four when he started his YouTube channel Ryan ToysReview with the help of his family. Kids loving toys is common but them making millions of dollars by just playing with them is interesting. Six-year-old Ryan from the United States has made it into the global list of Forbes’ “Highest-Paid YouTube Stars 2017” by reviewing toys and candies on YouTube. According to Forbes’ annual list of the highest-earning YouTube celebrities, he earns over $11 million for it. He shares the eighth position on the rich list with fellow YouTuber Smosh. Ryan was only four when he started his YouTube channel Ryan ToysReview with the help of his family. The channel has many videos of Ryan reviewing latest toys for kids. “Ryan loves Toys. Toys Review for kids by a kid! He loves Cars, Trains, Thomas and friends, Lego, Superheroes, Disney toys, open surprise eggs, play doh, Pixar Disney cars, Disney Planes, monster trucks, minions, playtime at the fun, family fun adventure and so much more!” his channel describes him.